1. Mandi's 1972 Bell Travel Trailer makeover, dubbed The Nugget, (top photo) will always be my favorite. Every extremely detailed DIY from inside and out came together to create a completely adorable, custom trailer! 2. Even just a little white paint completely made over this RV! Now it looks sleek, modern and bright. 3. 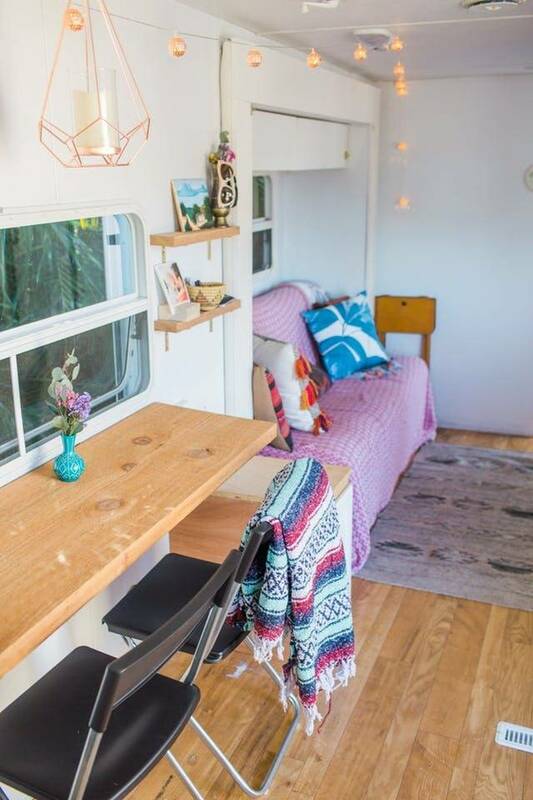 This pop-out camper makeover has faux marble, new flooring, colorful curtains and a reupholstered bench, making it look like new! 4. 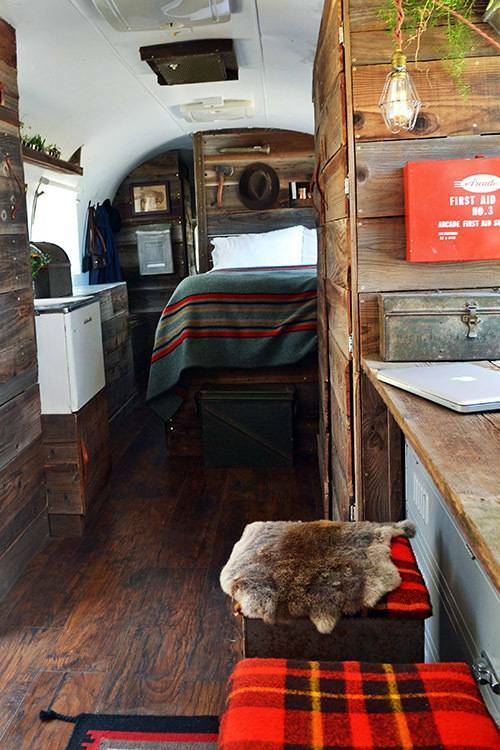 Go rustic with lots of reclaimed wood, like this beautifully re-done Airstream trailer. 5. An edge-glued pine tabletop and countertops are a centerpiece of this updated pop-up camper with lots of color and flea market finds. 6. Little upgrades like paint and drawer handles make a big difference, like this couple found when they updated a camper to take around the country. 7. Comfortable pieces make this family-friendly Airstream trailer truly feel like a home away from home. 8. Is it a house or a trailer?! 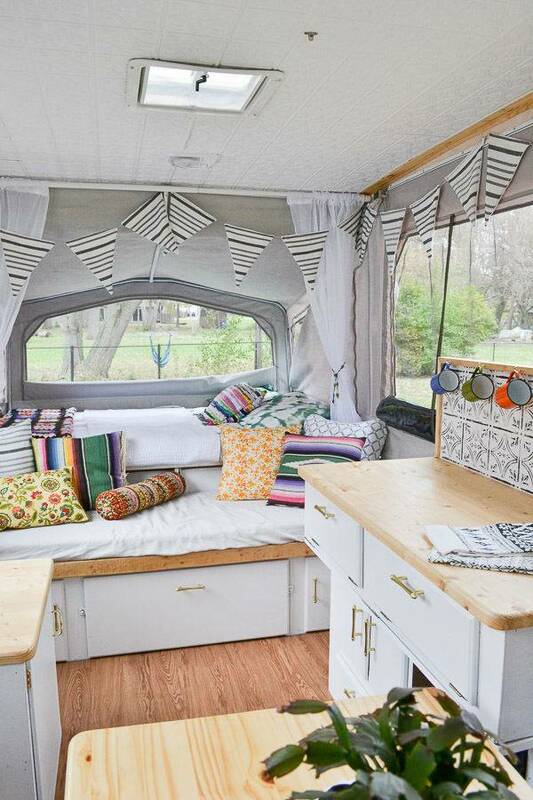 This 5th wheel makeover shows what a difference some bright decor choices can make. 9. The mid-century modern inspiration for this vintage camper makeover is gorgeous, especially with simple pops of color throughout the design! 10. Not only is this 5th wheel renovation gorgeous and full of color (those yellow cabinets! ), but the owners live in their 188-square-foot camper full-time in order to downsize and travel the country. 11. 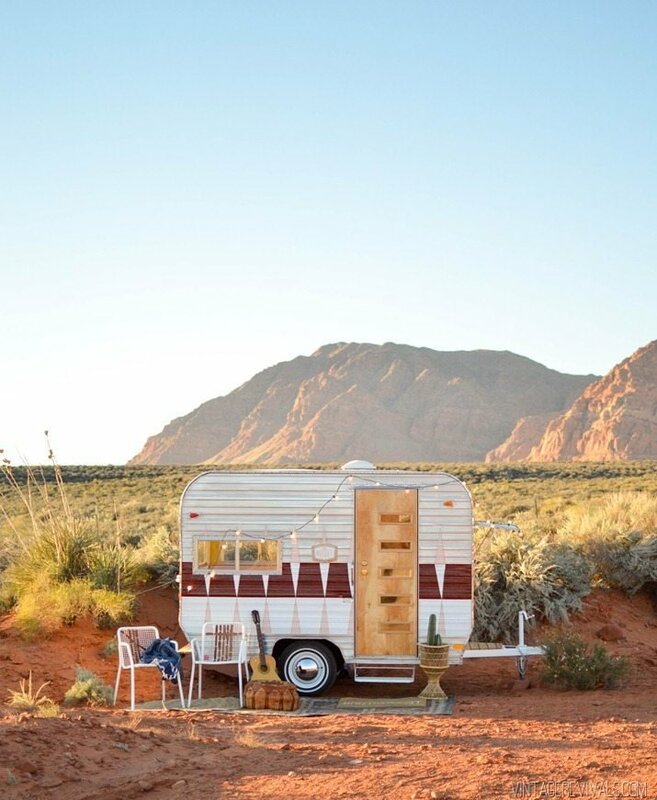 This reveal gives a peek inside a vintage camper makeover, but outside is perfectly painted and ready for a vacation! 12. Mavis the Airstream is another vintage camper of my dreams, and you can tell every piece of the Airstream was methodically planned with all the boho vibes you could dream of. 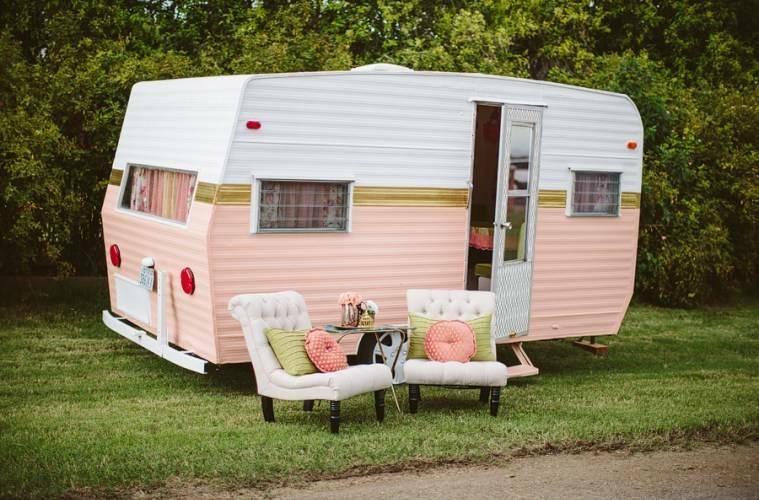 OK, is anyone else ready to makeover a vintage camper with me?